All For Ohio: Williams Co.
On Tuesday, September 12, Williams Company hosted the Ohio Chamber along with Representative Andy Thompson as we continued our 2017 All For Ohio Tour. A member since March of last year, Williams invited us out to tour their Utica East Ohio (UEO) Harrison Hub facility in Scio, OH. UEO is a project dedicated to developing infrastructure for the gathering, processing and fractionation of natural gas and natural gas liquids (NGL). The Utica Shale play in eastern Ohio makes these processes possible. 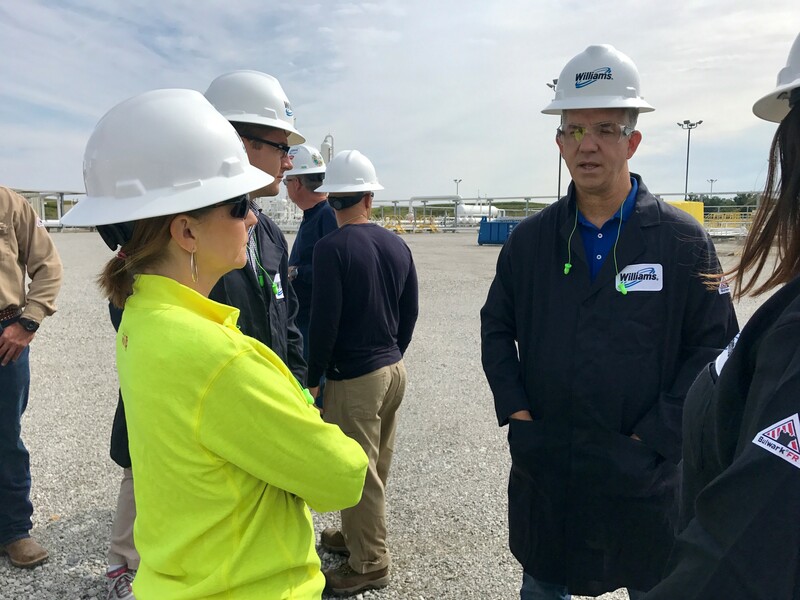 The first part of the visit included a facility tour of their Kilgore Compressor Station located in Carroll County, OH, a site they’ve maintained since December 2013. Compressor stations compress the natural gas to much higher pressures that allow the product to be transported via pipeline to its intended destination. 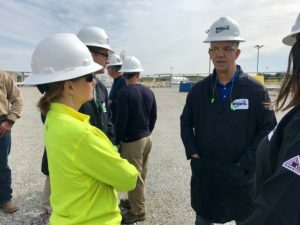 The continued expansion of these facilities is strengthening Ohio’s reputation as a major player in the natural gas industry. Following a safety check, Williams staff led the group on a walking tour around the property to witness the various working parts that make what they do possible, including eight compressor units made by Ohio’s own Ariel Corporation, filters and scrubbers that remove any water, hydrocarbons or other impurities from the gas and cooling systems. A presentation and policy discussion took place at the site following the first leg of the visit. Topics of discussion included environmental permits and requirements to continue construction and facilitation of the company’s sites as well as the need for qualified workers. While Williams continues to work with schools on helping educate students to better prepare potential workers, there is still concern regarding finding enough skilled workers to fill the job and pass the required drug tests. When discussing positive publicity of Williams as well as the industry as a whole, Rep. Andy Thompson noted, “The biggest thing you can do to get your name out there is offer opportunity,” adding that providing jobs and hope to the community is key. Williams’ Ohio operations employ nearly 100 people directly, more than half of whom are Ohio natives; through its other Ohio joint venture, Utica East Ohio Midstream, Williams helps employ nearly 100 more people in Ohio. 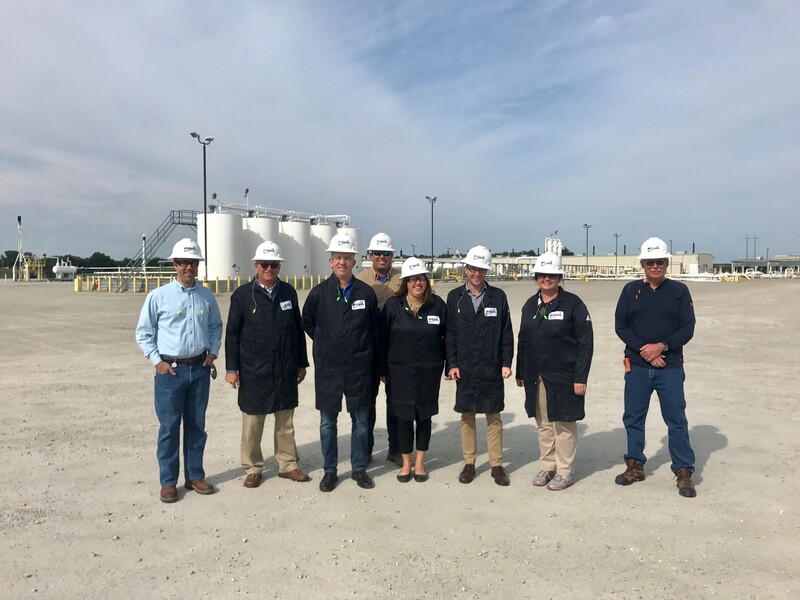 The trip concluded with a driving tour of the UEO Harrison Hub Facility in Harrison County, OH. 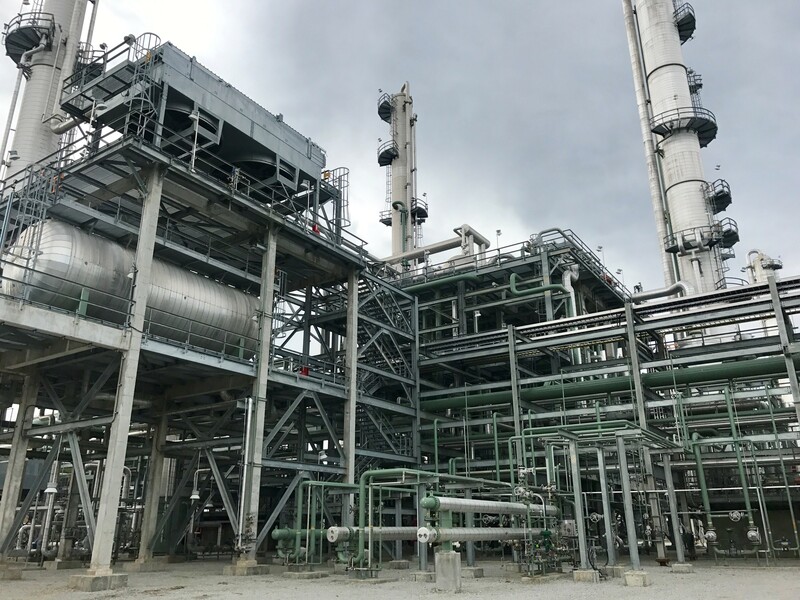 This fractionation plant separates products such as butane and methane from the gas being pulled from the Utica Shale, with on-site storage then allowing the separated NGLs to be shipped downstream via trucks, rail and pipelines. For more information on their operations, visit their website.